Seamless elegance through design that is at once avant garde and respectful of the past. 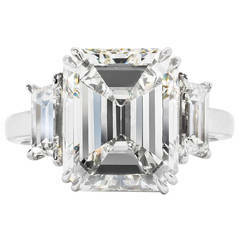 Cartier has mastered this technique and finds itself in the fore front of the jewelry world. 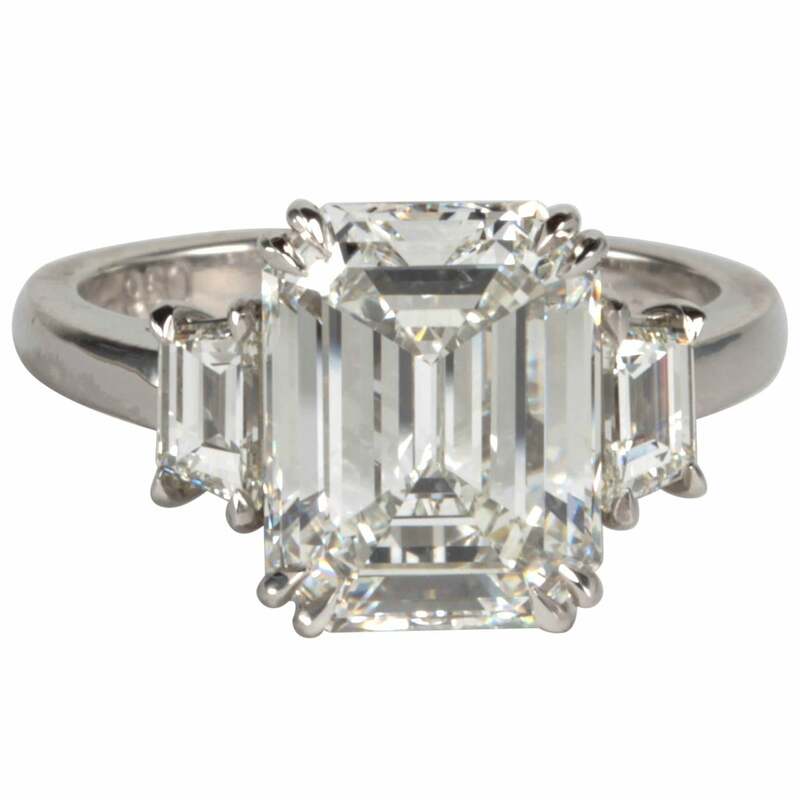 Featuring a 2.47 carat emerald cut diamond that is GIA certified as H color, VVS2 clarity. Accentuated by seamlessly flowing 18k golden lines that are perfectly accented by two hidden colorless diamonds. Signed Cartier, numbered and stamped with French hallmarks. 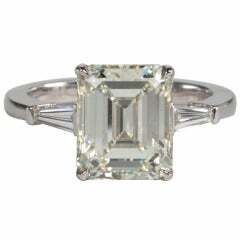 Ring size 7 and can easily be resized to fit, if needed this would come complimentary with your purchase.